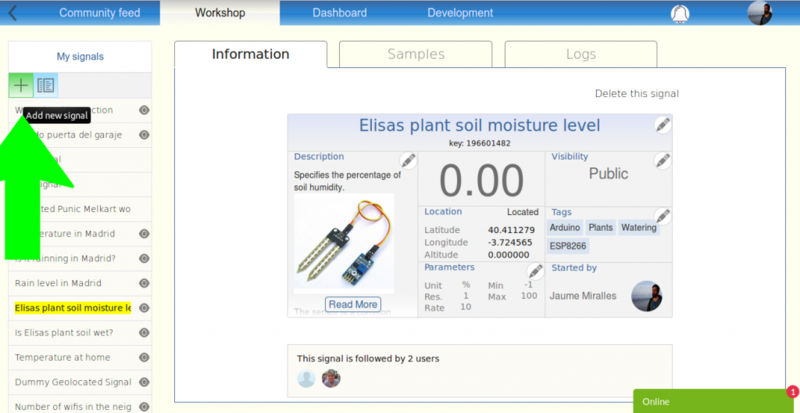 We will show a simple case to see how we can monitor, publish and log data provided by an ESP32 board in our circusofthings.com dashboard. 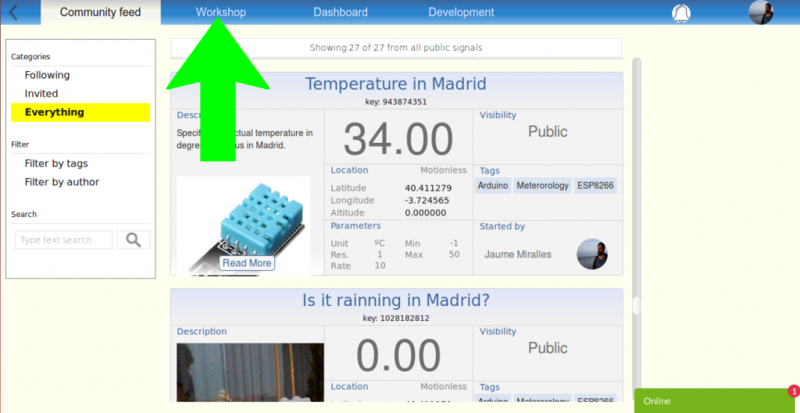 We will measure and publish an indoor temperature just like we did in a previous tutorial (Publish your Arduino Data to the cloud) with an Arduino nano Board and ESP8266/ESP01 module. For our current experiment, the exact model of ESP32 is DEVKITV1 from Expressif. But any ESP32 board from any manufacturer should work the same way. Just take care of the pinout for your model and set the proper pin for sensor in the code. 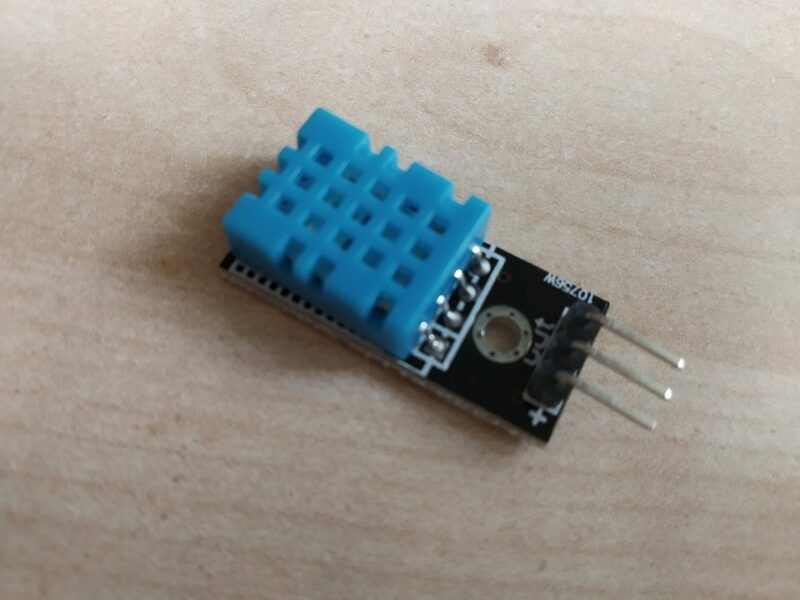 Again, the sensor for the temperature will be a cheap DHT11. A well known device very easy to use with its Arduino library. Remember DHT11 is not working as an analog input or several digital inputs, rather than this the input will be a serial stream communication in one pin with a manufacturer’s protocol (which you don’t have to care about as the library will do all for you). 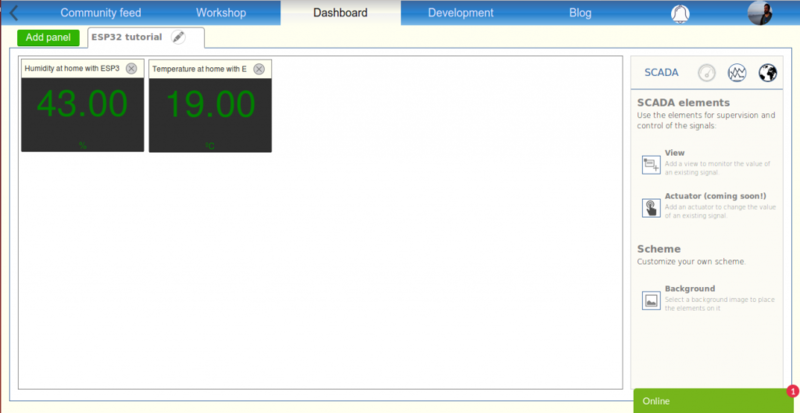 In this tutorial, we will be programming the board with C++ in Arduino IDE. There are a few ways more to do it as ESP-IDF, NodeMCU, among others. Just tell me if you are interested to see an approach to it in next posts. ESP32 is not an Arduino business, it’s an Expressif one (yes, maybe many of you know it, but let me tell you for that people who ever needed to ear it like me). So the “normal” environment to program it is ESP-IDF API and is the best as you can take profit of straight multitasking and the full set of hardware features. In this tutorial we will do it in the Arduino way using its IDE and therefore its coding language and routines. So our goal now is adding all those things that the Arduino IDE needs for the special case of ESP32, because as you can check you can’t find ESP32 device in Tools > Board > … menu. If you are on Ubuntu I strongly recommend this tutorial for Ubuntu. I followed the same. As usual, we will rely on our platform “Circus of Things” so we don’t have to take care about the server side, while having a dashboard to monitor and data-log, and a community to share our connections (if we want and set them to public). 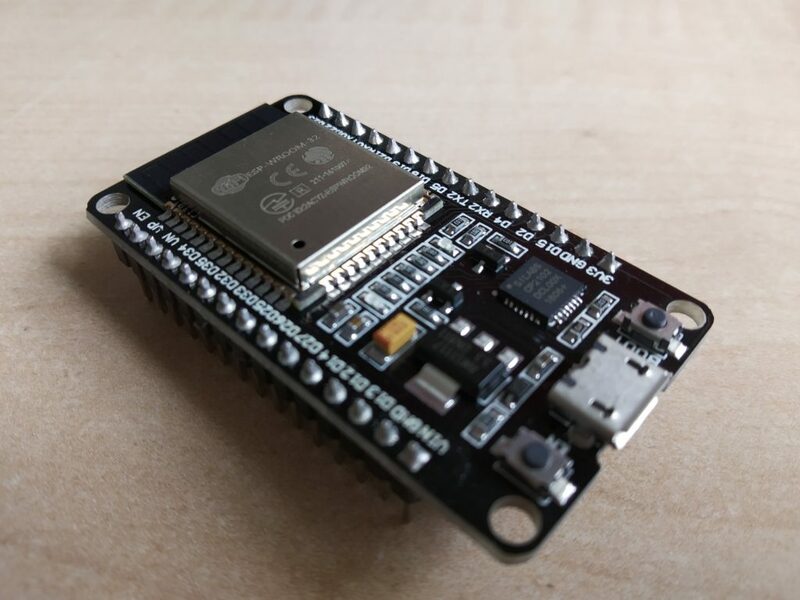 As for Arduino, Raspberry and the rest of electronics, we will set a library in our ESP32 so it can Read and/or Write values from the Circus, through its Circus REST API. Then our values will be ready regardless of the type of board we have. Create a signal and remind its Key to identify it when the code is set. Feel free to edit the information with the title, description, tags that you consider to be right. 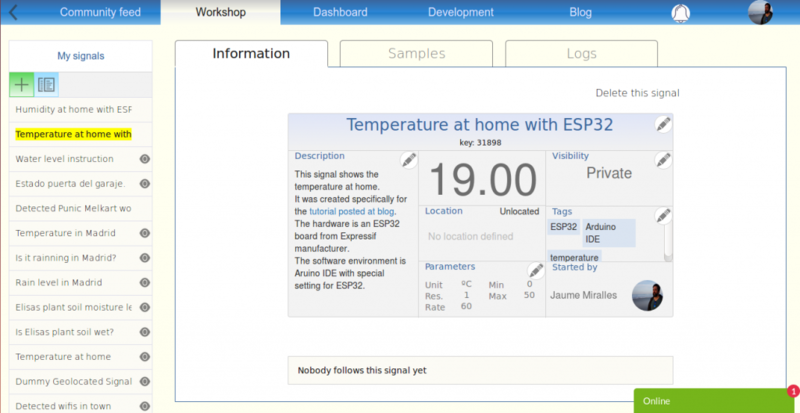 Now you have a signal well defined representing the Temperature, waiting for the ESP32 to feed its value over time. Note that the value is not changing. Not much to say, really. Connect the USB to your PC, it’s more than enough to power your ESP32 (in this experiment, it might not in other cases). Plus, you will be able to see debug messages in the console (115200baud if not changed). DHT11 will accept the 3,3V power supply output of the ESP32 and its GND. I choose pin D27 for the output of the DHT11. Could be any other else while it is digital and you bear in mind when declaring its variable in the Arduino sketch. You will have a very simple “.ino” sketch and let our library do all the dirty work. Write: Will set a ‘value’ to the signal at Circus, defined by the ‘Key’. The ‘token’ will let our platform know who you are and give you access. Read: Will return the ‘value’ read from the signal defined by ‘key’. Again the token will give you access. You can download the library here. char token = ""your_token_here; // Place your token, find it in 'account' at Circus. It will identify you. 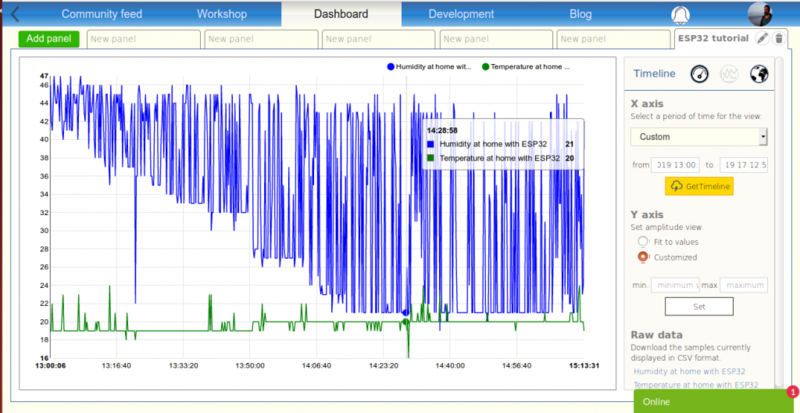 float t = dht.readTemperature(); // Let the library get the Temperature that DHT11 probe is measuring. circusESP32.write(temperature_key,t,token); // Report the temperature measured to Circus. circusESP32.write(humidity_key,h,token); // Report the humidity measured to Circus. Simple, isn’t it? Will try to connect to Wifi and reach Circus platform via https. Later, in the loop, will measure the Temperature and Humidity and report (with ‘Write’ command) to Circus. If you have another model of ESP32 or simply want to use another pin, check in the code the correct pin where you connected the DH11 output. There are many features more to explore! Thanks for your time and reading this post. Please feel free to contact in chat or comments, your feedback is much appreciated. An straight an reliable way to gather field data, posting it in real time to the web and having the CSV or KML available to download. Let’s make it easy yet powerful: To have a working case we will look how many wifi networks are detected in eachpoint ofa path using a Raspberry Pi and coding in JAVA. Raspberry: I am using Raspberry 3, but there is no reason why you could not use another model (I didn’t try yet), while it has a wlan interface to detect networks and to reach the web using the connection shared by your cell phone. A cell phone: Any with data connection that can share a wifi… in other words: any. USB external battery: Any that can power you Raspberry, like the ones used as extra external batteries for the cell phones. Used to move freely in the field. It should be 5-6V. Please note that with a supply of 1000mA I had some trouble for the Pi to recognize the USB connection, but with one of 4000mA (reasonably charged) it worked well. A GPS receiver: I am using Globalsat BU-353S4. Is a bullet proof old friend and is not expensive at all. It communicates by USB at 4800bauds and provides NMEA frames containing the GPS information. I will provide a library, so you only have to carry about the coordinates and you don’t have to study NMEA frames, nevertheless if you want to dive in take a look to this handy resource. While it is USB and NMEA there is no reason you can not use another receiver (I didn’t try yet). A free account at circusofthings.com: What can I say about my beloved community where easily interconnect your inventions. But let’s focus on the fact that you will have a dashboard ready-to-use and you won’t have to worry about the server side. You only need to create a free account. Now you have set the signal. It has only static information right now, but soon your hardware will be feeding the changing value and the changing location. Take note of the “key” displayed under the signal title, it will identify your signal when communicating with server. One more thing: Also take note of the “token”, it will identify you when accessing the server. Find it clicking on your image, in the top-right corner, then “account”. Takes GPS latitude, longitude, altitude coordinates (in decimal degrees). I use a library I made called jaumemirallesisern-gps.jar to read NMEA data from a GPS receiver through USB port. The object GPSNMEAserial needs two parameters: serial baud rate and USB port descriptor. In my case where 4800 and “/dev/ttyUSB0”. Executes a Linux command (sudo iw dev wlan0 scan) to get the number of SSIDs detected. If you don’t have this command in your system, just install it: sudo apt-get update and sudo apt-get install iw. Reporting to Circus Of Things the latitude, longitude, altitude coordinates, and the value (for us is the number of SSID read above). It is made through the Write command defined in the REST API of the Circus. You don’t have to code the API commands in JAVA as you can take profit of the ready-to-use library called circusofthings.jar. Remember to replace the “key” and “token” from Circus for the “KEY” and “TOKEN” values respectively in the code above. I do like this because I want to be sure that in the field I just need to power on the raspberry for the data to be gathered. Just plug the GPS receiver in the USB. No further configurations or set up are needed. In your cell share your data connection as a Wifi access point. So you will define a SSID name and a password. In your Raspberry, connect and check to this SSID normally. You can do it in your Raspbian desktop or via commands. There is plenty of documentation to do this in the net, so I won’t stop on this. 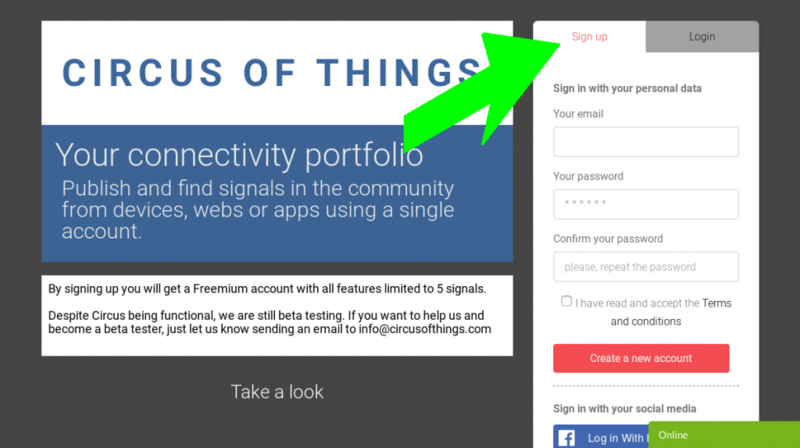 And in your Workshop at Circus you should see the same signal you defined but now with value and geolocation changing (it may take some seconds as it needs time to write, time to poll in the app… be patient). When you are outside you can watch this screen (always selecting the option “request desktop page” in your cell as we don’t have a working responsive version) to see if the values are varying as they should. You can also monitor the track in real-time setting a panel-map as described in next points. I can’t believe I never though about a rigid folder to chase my developments. It’s easy, the excess of cables is tidied up and you can file your gadgets in the shelf. An absolute win-win. If you want to see my walk, this is the signal. Once you add it to one of your panels recall it with the label I gave to it: “wifi-walk”. Hope it helped and thanks for reading! Please, let us know your feedback. There are many things repeated from previous but I pretended to have a comprehensive thread to read, so this ‘redundant’ text will be in italic to be clear and skip if you want. 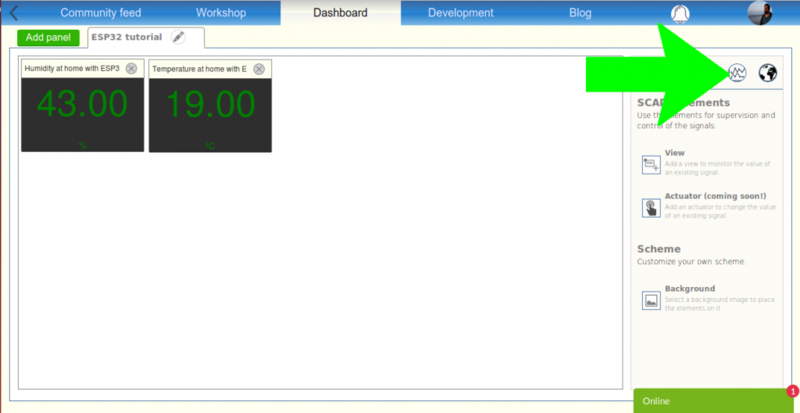 We will make it as simple as it can be: We will read data from cloud, then show in serial monitor. The value won’t trigger any special thing locally, so the concept will be clear. In particular, let’s show the same temperature info we were posting in the tutorial before. Please note this is a prototype tutorial and not a perfectly chased stand-alone product. What I mean is that I will use a laboratory stabilized voltage source to achieve 3.3V needed for the ESP8266 and I am not posting all necessary to get this voltage from a 5V, batteries, or grid… just to make it easier. ESP8266 is very delicate. Voltage above 3.6V will fry it. There are some discussions on the net about if it could stand for more voltage, but it depends on how the other pins are connected or which maker is it from. Don’t take risks, remember: less than 3.6V. What nobody told me and maybe saves you one day is that you may see your module perfectly powered, with shinning leds… but recurrent problems to reach the network. It seems that a tinny below the nominal voltage may suppose a shortage on the power that can affect the RF performance. Be aware that ESP8266 might consume up to 250mA. Don’t ever try to source it from your “3.3V” pin of your Nano, it isn’t able to source this current. Again, for simplicity, I won’t use an external 5Vdc source to power the Nano board as it will connected to the PC with the USB port (as you will find on this tutorial, the serial communication on USB will be monitored for an interesting debug). Connect the source on the “Vin” pin of the Nano, not in the “5V” pin. The first is the right place as it is protected by an internal regulator (don’t be afraid to give 6V). The second is an output that can feed other components. …do you really know which serial baud rate is set in your ESP8266 module by the maker or any other? If yes, skip to next point. Or you may want to connect your PC to the ESP8266, interfaced in between by an FTDI module, to ask for the actual baud rate with ATcommands. I recommend this way as it is more illustrating and plus you can be sure your module is working properly (and not silently fried or corrupted). To achieve it I followed this tutorial, it’s really good and clear. We won’t use the RX/TX UART port of the Nano board to connect to the ESP8266. This is because we want to have this channel free for debugging from our PC. Then we will use two different digital pins to have another serial port, what is called a “software serial port”. Let’s say D2 will be the TX and D3 will be the RX pin. 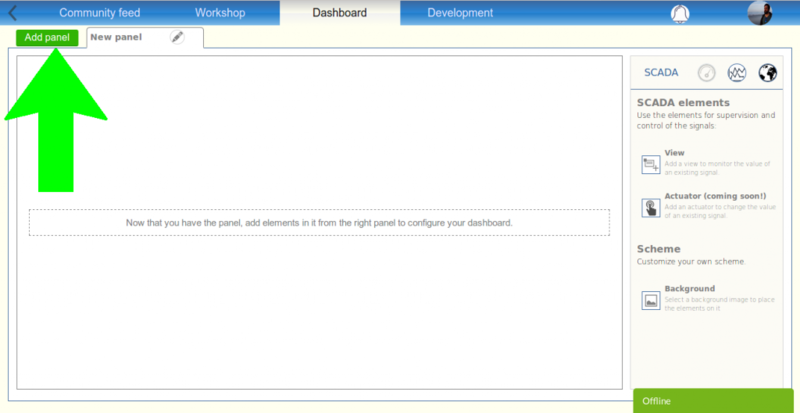 Don’t worry on how to implement this new port, you will find in coding section how easy is to handle it with a library. …. the thing is that me and many others have checked that it works fine during months without tension divider, ESP8266 seems protected enough. But don’t trust me on it, do it well. Follow the process to sign up at circusofthings.com if you don’t have an account yet. It’s free and looking for testers. 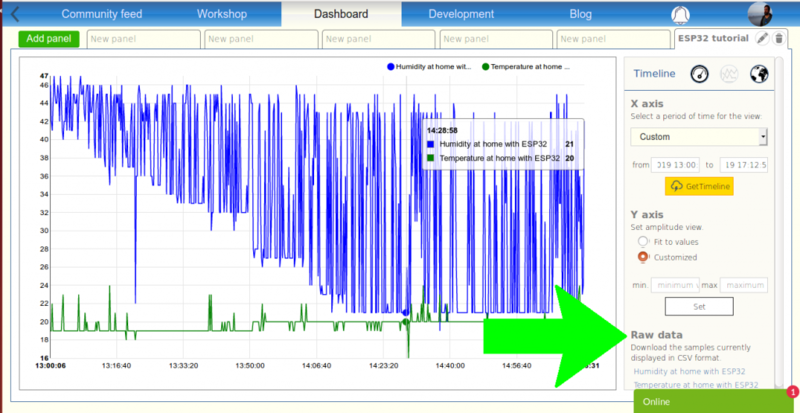 In the community feed, look for the signal “Temperature at home” and remember its key so we can identify it (in our case, key: 944668525). (You don’t need any lib for Wifi/ESP8266 as it is done by CircusWifiLib). Let’s put the sketch in the board as usual. 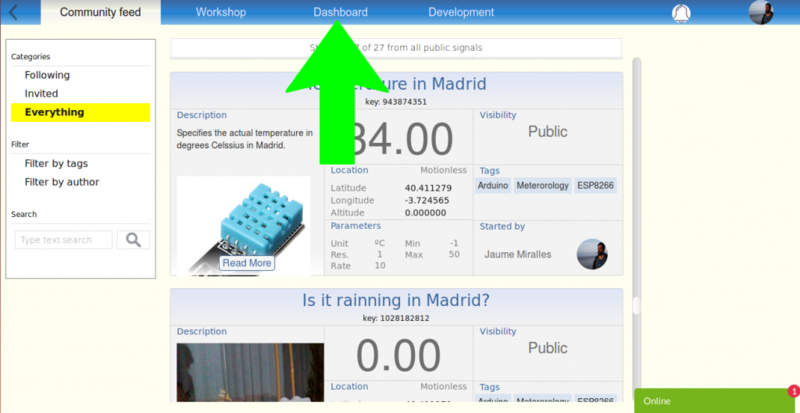 If you didn’t before, read how to do the oppossite: Publish Your Arduino Data to the Cloud. Connect the source on the “Vin” pin of the Nano, not in the “5V” pin. The first is the right place as it is protected by an internal regulator (don’t be afraid to give 6V). The second is an output that can feed other components (will be nice for our DHT11 sensor). 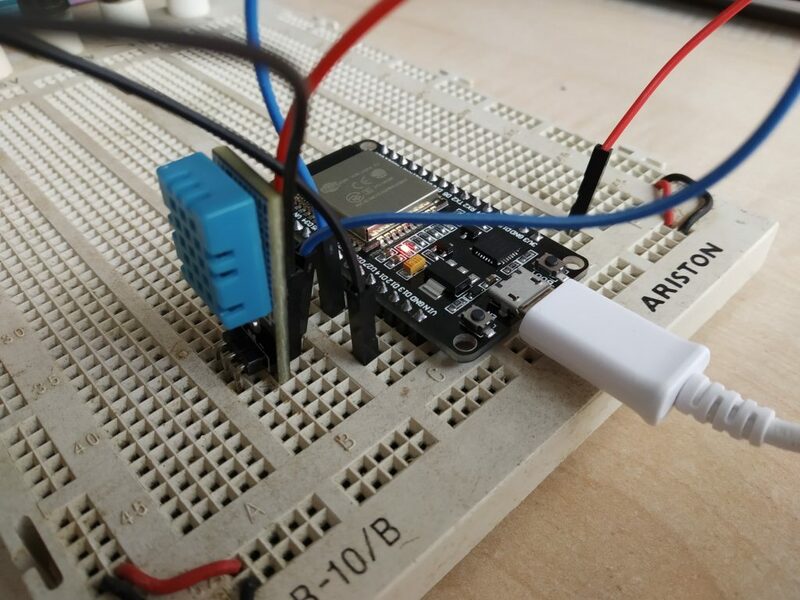 Or you may want to connect your PC to the ESP8266, interfaced in between by an FTDI module, to ask for the actual baud rate with ATT commands. I recommend this way as it is more illustrating and plus you can be sure your module is working properly (and not silently fried or corrupted). To achieve it I followed this tutorial, it’s really good and clear. Then we will use two different digital pins to have another serial port, what is called a “software serial port”. Let’s day D2 will be the TX and D3 will be the RX pin. 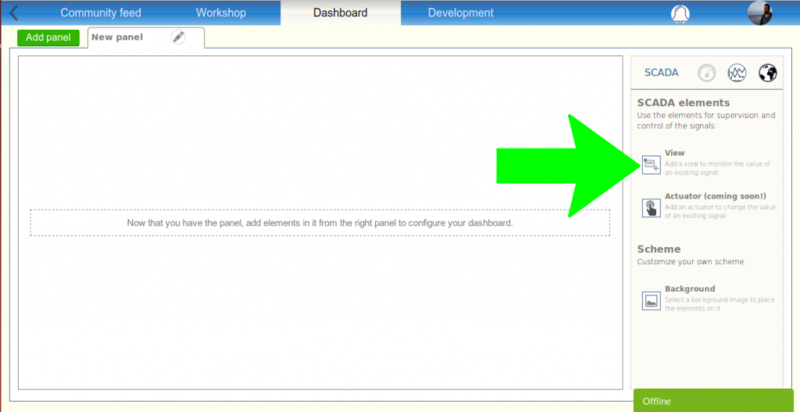 Don’t worry on how to implement this new port, you will find in coding section how easy is to handle it with a library. … the thing is that me and many others have checked that it works fine during months without tension divider, ESP8266 seems protected enough. But don’t trust me on it, do it well. What we see is it has only 3 pins. The “+” is where 5V will be provided, connecting it to the “5V” of the Nano board. The “-” is the common ground with the rest of components. And the “out” is not an analog or resistive output as one might guess, actually it’s a digital serial output as this sensor is provided with on board intelligent components. Don’t worry about this protocol, as seen in next sections, we will easily find the Arduino library that lets you manage it with zero effort. It seems the specifications of this protocol are hard to find due to the lack information (only in chinese) just for the case you are interested in it. 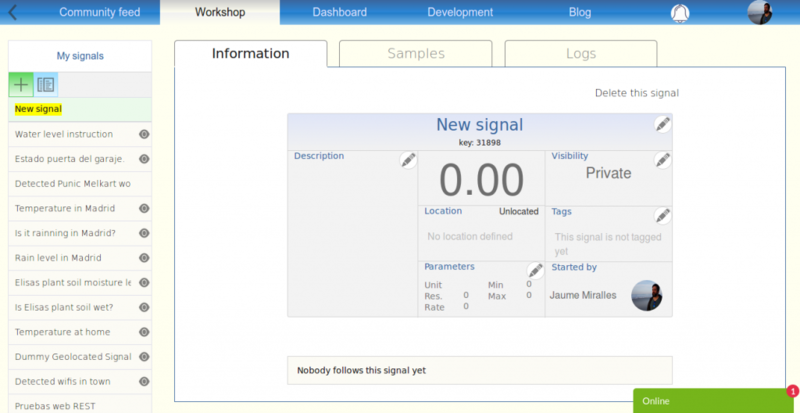 In your dashboard, create a “new signal”. Note that it displays a key that identifies your signal. Remember it for the next step. Now is accessible by any other device or app in the world.